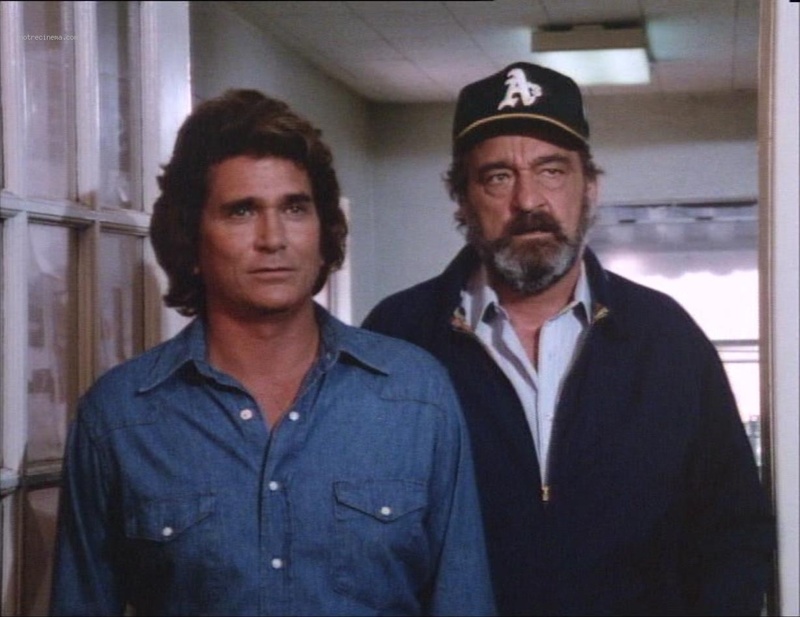 Victor French and the A’s cap in the pantheon of popular culture. French’s beat up, snap-backed “dad hat,” may be the most famous Athletics cap of all time. As a child who grew up in the seventies, I’m flabbergasted at the degree of generational differences in health, medicine, food, safety, and general well-being of children. We had no internet, cell phones, computers or video games…but let’s get down to the brass tacks about something really important that we did have…television. Highway to Heaven was a television show that ran from 1984-1989. At that time, I was just coming into my own as an imaginative, shy and loner pre-teen who hadn’t even learned how to bop his bologna yet. Television was sort of a meditative time for me as I didn’t watch it very often, (we entertained ourselves through peer interaction and physical activity.) and one of my favorite shows was Highway to Heaven. The synopsis of the show was that Michael Landon (left) is an angel sent down to earth to help the downtrodden and oppressed. The angel picks up a scuzzy-looking human partner along the way (Victor French, right) to help him out and generally be his driver and to give cynical advice. (these two were also co-stars on the insanely popular, Little House on the Prairie, a show that confused and baffled me as a small child while watching it with my aunt.) French was rarely seen without his old, beat-up A’s cap on the show, and I remember thinking that it was so strange that an A’s fan would be helping an angel. 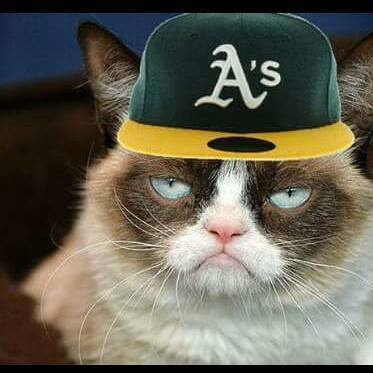 As in, the (then) California Angels, who are the A’s divisional rival. The show was sappy and didn’t stop shoving life lessons at you, in turn, a squeaky clean inspirational series that doesn’t tend to get much airplay anymore in a TV world clogged with police beat-downs, reality shows and Kardashians. Landon’s angel wants us to believe in the goodness of people. Most of the episodes dipped into a rich, creamy schmaltz which was pretty good stuff for a young idiot in the 1980’s. French was a heavy smoker who died in 1989 at 54 of lung cancer. The two were close, and when French died Landon was so devastated that he stopped producing the show. 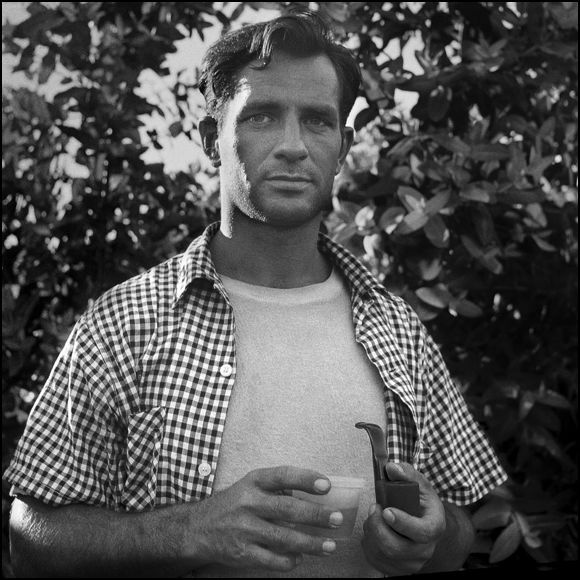 Landon died in 1991 of pancreatic cancer, a sad day in Hollywood as he was seen as one of the more charming and good-hearted actors in a world of phonies and narcissists. This is the speech former Athletics pitcher Brian Kingman gave at the MSBL 25th Anniversary banquet. It is held at the end of the MSBL World Series, which is held in Phoenix every fall. MSBL stands for Mens Senior Baseball League. I originally e-mailed Brian about an autograph request, and he has been the most cerebral, down to earth, and charming athlete I have ever “met.” I found it interesting to learn that he is an avid reader as well. He has been nothing but cool about answering my geeky “fan boy” questions, and I am eternally grateful for his input. I have taken liberties (not many) with the speech to make it sound less like a speech to a large audience and more steadily readable to an audience of one. 30-40,000 cheering people, mostly adults, who were invested in the outcome of the game. It was at that point I began to see baseball as more than just ‘a game’. My parents made me attend church every Sunday, but by the age of 9 or 10 I decided that baseball was my religion. Koufax and Drysdale might as well have been gods, and Vin Scully, the Dodgers radio voice the High Priest. Each game was like a sermon. You learned about baseball, the players, and the history of the game. lived, and it was in the middle of the week, so we would have to figure out how to miss school. When we arrived at the Hilton, we searched until we found the banquet room where Sandy was the guest of honor. We asked the doorman if we could just look in and actually see Koufax. When he opened the door we saw Sandy sitting at a podium at the front of a large banquet room with at least 300 people having lunch and listening to various speakers. We both waved at Sandy, much to our surprise, he waved back. We thanked the doorman and asked if Koufax would be coming out through these doors because we wanted to get his autograph. He told us that he would and we walked off looking for a good place to wait. As we were walking away, the doorman said, “Hey boys come back here”. He told us that Sandy wanted us to come in and join the luncheon. We couldn’t believe it, and we knew no one back at school was going to believe us either. Becoming a professional baseball player was a life long goal. 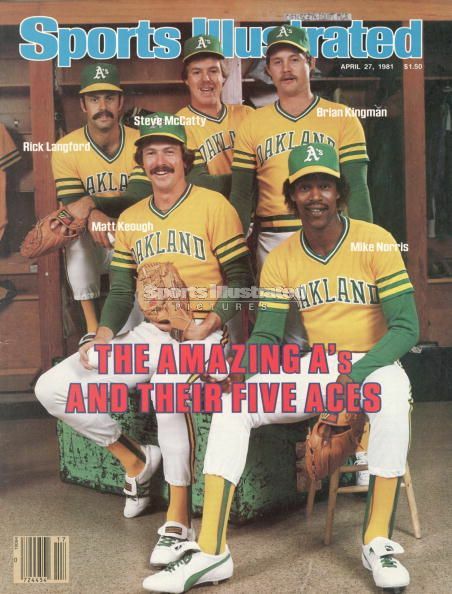 Signing a contract to play in the Oakland A’s minor league system was emotionally satisfying, validating years of hard work. However as satisfying as it was there was also a downside to professional baseball. Everyone who has ever played professional baseball learns very quickly, that although the competition is better and the game itself hadn’t changed, we weren’t just playing baseball anymore. We were in the business of playing baseball. Every minor league player has the same dream and shares a common goal: playing in the big leagues. But for 95% of them, the dream comes to an end in the minor leagues. To see one of your teammates released, and realizing it was the end of a life-long dream was painful. It was almost as if someone had died, in a very real way part of them had. The joyful innocence of a neighborhood pick-up game was a distant memory, replaced by the harsh realities of professional baseball. Most of the players I have known will tell you that their time in the minor leagues was more enjoyable than the time spent in the major leagues, if for no other reason than minor league players spend more time together. Major league players live with their families at home and have a room to themselves on the road. Minor league players are roommates at home and on the road. They endure 10 hour bus rides, worry about playing time, slumps, injuries, and the possibility of being released. Most of all they share the dream of playing in the big leagues. 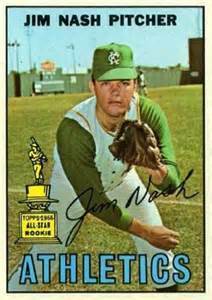 I got off to a great start in my second year playing for the 1976 Chattanooga Lookouts, the Double A affiliate for the Oakland A’s. In 1976, baseball was in the early years of free agency. By mid-season, A’s owner Charles Finley decided to trade and sell off his star players rather than lose them to free agency. Catfish Hunter had been traded to the Yankees and Reggie Jackson to the Orioles. When Finley attempted to sell Vida Blue, Rollie Fingers, and Sal Bando, Bowie Kuhn who was the Commissioner of baseball prohibited the sale, saying that, “It wasn’t in the best interests of baseball”. Well it would have been in my best interests! leagues became even more precarious. have competed on the same field as Ruth, Gehrig, and DiMaggio, but even better having beaten the defending World Champions. I ended up with a with a 8-7 record on a team that lost 108 games. team (83-79) by maximizing the teams strengths which were starting pitching and speed. 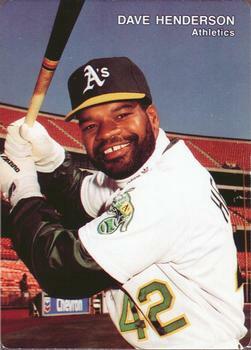 Rickey Henderson stole 100 bases. We led the league in ERA and set a modern-day record with 94 complete games. company, well I was all alone! is the perfect description of what Billy was like. For Billy, losing was like a small piece of death. credit he thought I looked outnumbered and disobeyed the coaches. Rickey was there for me if I needed help. Billy began by poking me in the chest with his finger. I grabbed his hand and wouldn’t let him retract it. He tried to swing his other hand at me and I grabbed it too. The coaches rushed in to break it up, no punches landed by either side. Needless to say, 1980 was a very long year for me. Losing 20 games in a season is hard on any pitcher but doing it for Billy Martin made it twice as hard. 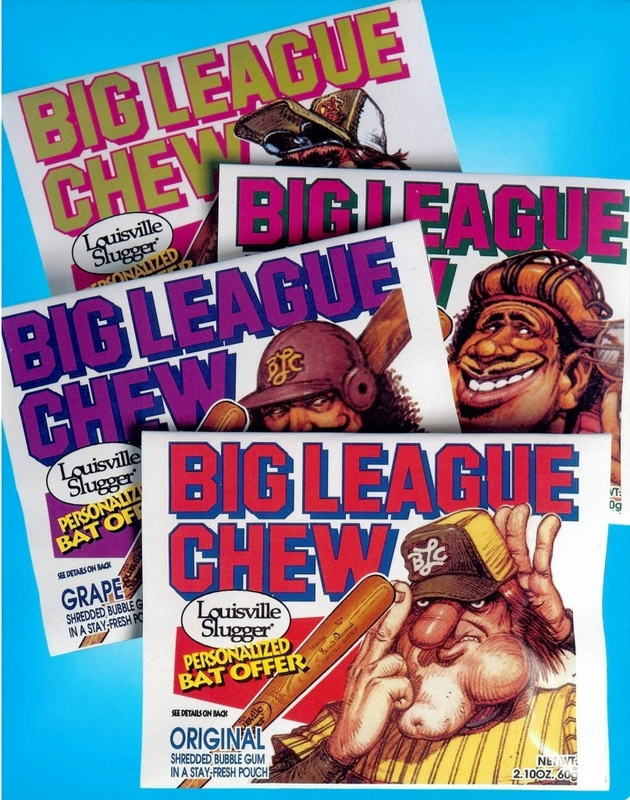 154 out of 271 games during the 1980 & 1981 seasons began to show symptoms of overuse. Billy’s relationship with the owners deteriorated quickly, and he was fired after the season. I was sold to Boston and ended my career with the Giants. a part of your life and the harder it is to say goodbye. Satchel Paige was right when he said, “Don’t look back, something might be gaining on you”. For a very longtime, that “something” was my baseball career. It was several years before I could enjoy talking about it and revisiting the memories. The end of a career can be like a divorce when someone you still love has decided to move on without you. of playing baseball we all experienced as kids, playing the game because we love it. It was almost a shock to see guys hustling and playing hard because they wanted to and having a great time. Baseball has always been more than just a game. Playing baseball for me is like going home again. New friends are made, and old friends are reunited. Vin Scully once said “It’s a mere moment in a man’s life between the All-Star Game and an old timer’s game” For some of us it has been five of six decades since our first game as a kid, yet it too seems like a mere moment. Our time together is magical, but unfortunately comes to an end all too soon. They say that professional athletes die twice in this life, and the first time is when you stop playing. Thanks to the Mens Senior Baseball League, I am still trying to decide if I have been reincarnated or born again. Either way I consider myself lucky, not everyone gets to die three times. No worries though, old ballplayers never die, they just fade away. Alex George and my terrible formative years. Alex George was signed by the Athletics during their first season in Kansas City out of a local Jesuit high school. All of his Major League appearances took place before his 17th birthday — making him the second youngest non-pitcher to debut in MLB since 1944, and also the youngest player to ever play for the Athletics. 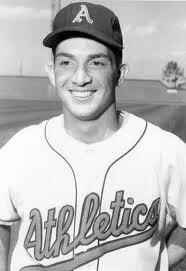 He struck out in his first Major League plate appearance against relief pitcher Al Papai of the Chicago White Sox, but four days later, on September 20, playing as the A’s starting shortstop, he collected his only big league hit, a bunt single off Duke Maas of the Detroit Tigers. George had bunted his way to his only major league hit and would end his “career” with one hit in ten at bats for a measly .100 average. I’ve found that most archetypical “rejects” usually fall into one of two paths: there are the ones that are naturally artistic, read outstandingly bad literature (me) and eventually learn through a series of vicissitudes that change is inevitable and sometimes vital. I eventually went to art school, achieved an M.F.A., traveled the world and now live a quiet, normal life (Well, normal if you consider someone who is childless in their late 30’s “normal.”) The other end of the spectrum is jail, drugs and even death. I have seen some friends go down these paths and even lost a few because of their choices. Sometimes I’ll be sitting around, watching a movie or doing some other domesticated time -killer when it suddenly hits me: it’s a miracle that I’m even alive. I imagine some of the same things were going through Mr. George’s mind as he was running to first on that bunt base hit. The under-dog just fighting for survival…..and as soon as these thoughts enter my head, they leave swiftly. Another thought enters– What the hell am I going to have for lunch? I take another sip of beer and decide to take a nap.